Know what to do when you leave school? 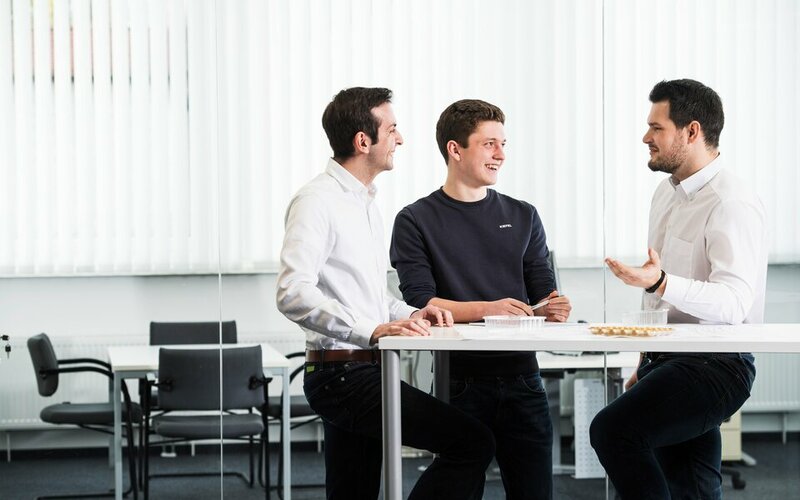 An apprenticeship at Kiefel can open many doors for you. Because you learn not only about your desired profession; you can also apply your knowledge in different sectors. Above all, we attach great importance to you being able to put what you’ve learned into practice. This means that you also pitch in, taking responsibility for your tasks and contributing your ideas. Because we want you to be one of the best in your profession at the end of your apprenticeship! The selection process for apprenticeships starting in September always begins in the spring of the year before (e.g. in spring 2019 for September 2020). We do all we can to offer you the best conditions for a successful apprenticeship. This includes giving you real tasks and responsibility from the outset. In every apprenticeship, you are provided with insights into the whole company. Once you have completed your apprenticeship, we are happy to open up other opportunities (including financial support) for you, in order to develop your skills, e.g. further training to become a master craftsman, degree course, etc. With the hybrid apprenticeship, you can follow two courses of training in parallel. See below for further information. Maybe you combine theory and practice in the sandwich course – see below for further information again. Our four divisions open up an array of possibilities for you – also beyond the apprenticeship. It’s a labour of love for us to nurture young talents like you! As a future IT expert you will learn about the design and implementation of complex IT systems and how to adapt these to user needs. Communication skills and service orientation are important here, because not everyone is as expert as you and may need assistance in dealing with software. You are a contact person for all technical matters – whether crashed computers, software and operating system installations or various repairs. If you have a technical aptitude and an interest in machines, then this is the perfect place for you. In the industrial technician apprenticeship, you’ll learn the fundamental skills of metalworking, soldering, welding, milling, turning and drilling. 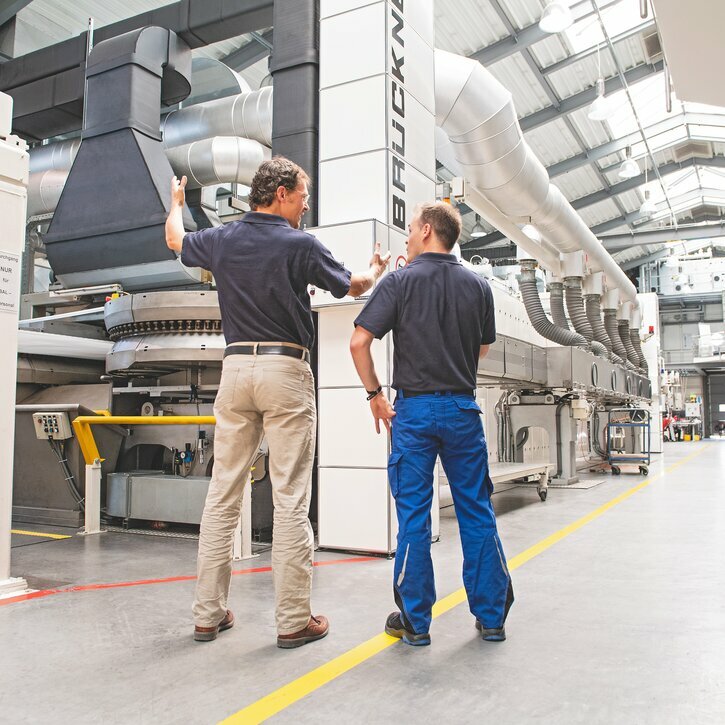 Then from the small, you transfer to the large: Installing and commissioning complex machines and large systems will be no problem for you at the end of your apprenticeship. And you’ll be able to work so precisely that your manufacturing tolerances will be measured in thousandths of a millimetre. Everything begins with a solid grounding in basic mechanical and electronic principles. This is followed by control engineering, electrical and mechanical final assembly, commissioning and technical documentation. Ultimately, you’ll become a professional in assembling and testing measurement, control and regulation equipment. Handing over the finished system and instructing the future users round off your skill set perfectly. Once you have a good command of the mechanical principles, you’ll learn 2D and 3D product design at the computer. The implementation of design and customer specifications are just as much a part of your remit as the consideration of economic and quality aspects. You design and construct components, assemblies or entire systems precisely and create assembly plans and bills of material for production. So your idea ultimately evolves into a perfect product. 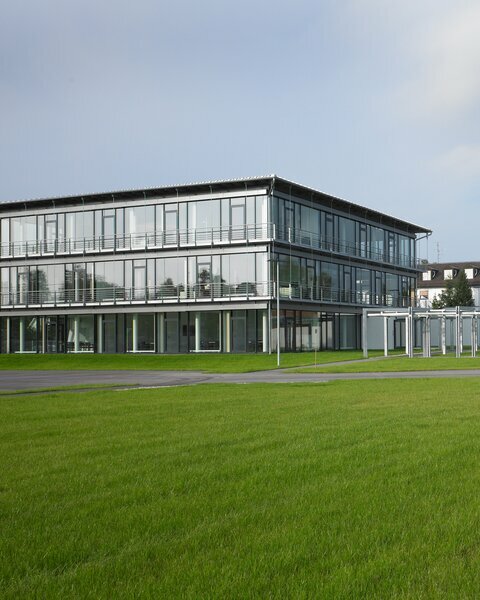 Once you have learned the basic commercial principles, we can offer you many different options for your individual path: With materials management, marketing, sales, human resources and finance, several fields of activity are open to you. From procurement and goods acceptance to tender preparation and scheduling through to payroll accounting, you will be familiarised with all the requisite tools. 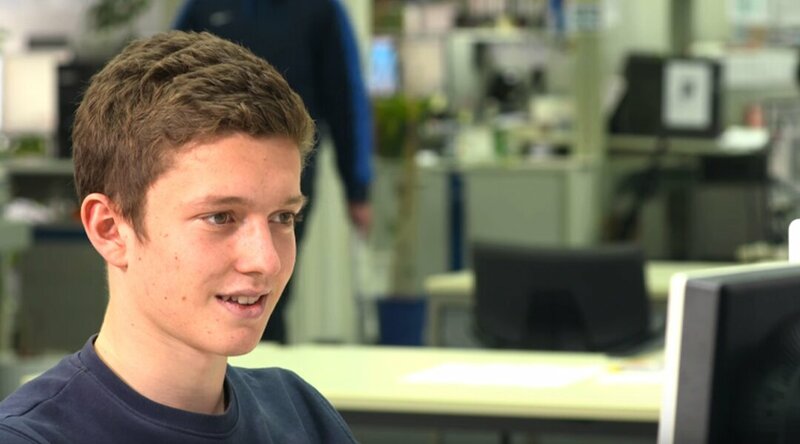 At the end of this apprenticeship, you’ll have the perfect starting point for a rich and varied career path. During your apprenticeship, we’ll teach you everything you need to know about goods flows and transport routes. Our modern high-bay warehouse and acquisition of the forklift and load securing certificate are just two of the highlights that await you. You can complete many tasks on the move with the scanner system. You accept goods self-sufficiently, compile deliveries for dispatching worldwide and help with loading. You’ll bring the necessary level of versatility, flexibility and technical understanding. Mechatronics engineers are the interface between mechanics, electronics and information technology. Their responsibilities include the development, production and programming of automation systems. After basic training in mechanics, you will learn how to install machines and systems, commission them and perform fault analyses. You will learn the principles of pneumatics, instrumentation, control and automation. Here is our training folder. Following well-founded basic mechanical and electrical training, you will gain insights into control engineering, electrical and mechanical final assembly, commissioning and technical documentation. Assembly plans, circuit diagrams and pneumatic plans will become self-evident to you. Systems commissioning, fault-finding and customisations will be no problem for you at the end of your training period. You’ll bring the necessary level of accuracy, patience and technical understanding. We will get you into shape in the fields of metalworking, soldering and welding during your basic training and teach you the skills of milling, turning, thread cutting, grinding, and drilling. You will learn how to install and commission systems. You will get acquainted with complex CNC machines and a level of manufacturing precision with tolerances as low as a few thousandths of a millimetre. You will learn how to perform calculations, drawings and simulations on computers using special software programs (e.g. CAD). With these you will create design and construction plans for machines, assembly plans and other technical documentation. 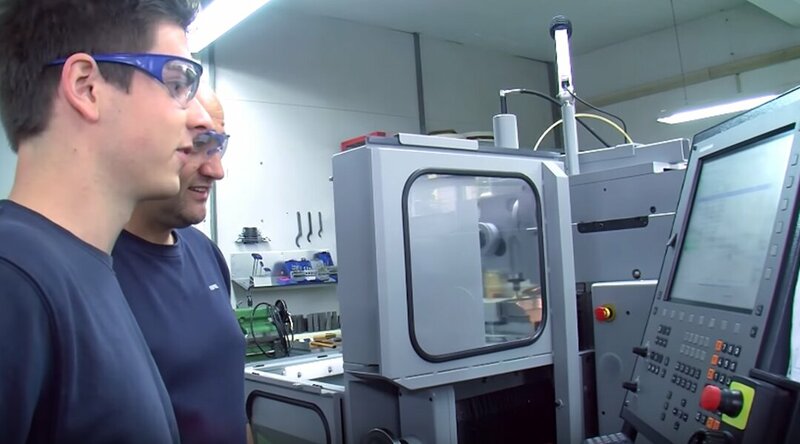 At the end of your training you will be able design machines and systems, from the development stage through to preparation for manufacturing and production. We offer particularly high-performing apprentices a hybrid apprenticeship: With this you’ll obtain two professional qualifications in parallel within five years. And it will make you one of our electromechanical specialists. 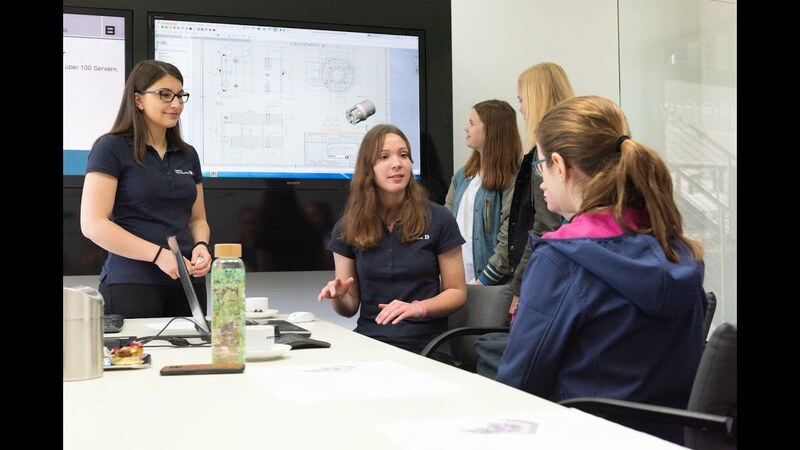 If you strive for more, you can combine your university degree with an apprenticeship at Kiefel. The sandwich course is the ideal combination of theory and practice – from the outset. 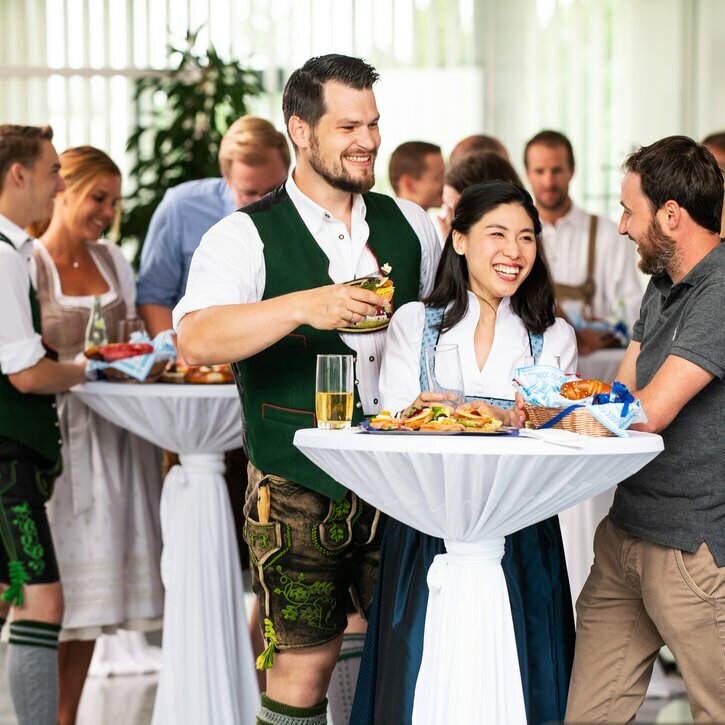 Not only are you financially on the safe side during your degree course with the assurance of a fluent passage from university into working life, you also smooth the way into a future with excellent career opportunities at Kiefel. If you would like to know more, you can download our sandwich-course-folder here.